HAMPSTEAD – Pender County Utilities will begin routine maintenance on the Hampstead elevated storage tank, located near Topsail High School. “The tank will be drained to allow access for maintenance,” said Bryan McCabe, Interim Director of Pender County Utilities. 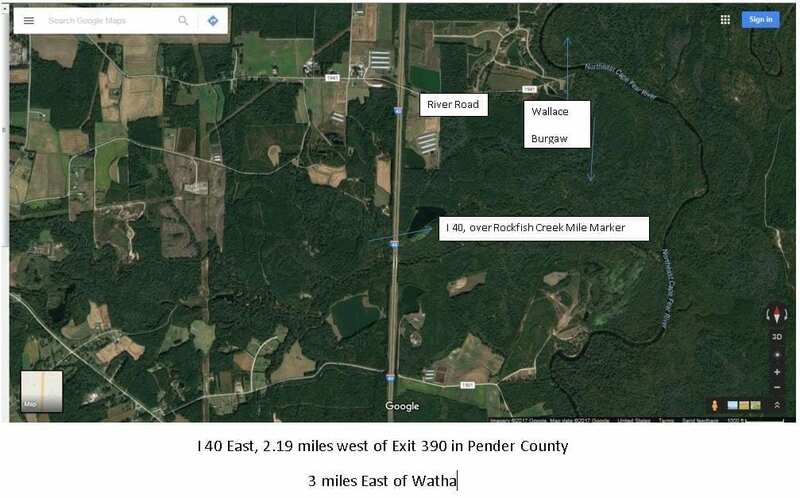 Although the Hampstead storage tank will be out of service for up to three weeks, Pender County Utilities does not foresee any immediate issues of concern or loss of service. The Topsail Elevated Storage Tank will still be in service to provide fire protection in the event of an emergency. “It is possible residents in the Hampstead and Scotts Hill areas may experience less water pressure or a possible episode of discolored water,” said McCabe. For more information regarding water service in Hampstead and Scotts Hill, please call Pender County Utilities at 910-259-1570. The NC Department of Transportation Bridge Maintenance Unit plans to close a single lane of the East Bound lanes of I40, 2.19 miles West of Exit 390. Weather permitting crews will close the lane beginning at 8:00 am on Wednesday, September 27th at 8:00 am. Plans are for the work to be completed by 3:00 pm. The lane closure is necessary to allow the Bridge Maintenance Unit to make repairs to a reinforced concrete column. There will be no planned detour for this closure. A vicinity map is below. For further information, please contact Mark Stroud at 910-296-8730. The Pender County Office of Emergency Management urged residents to prepare for Hurricane Irma. Collins said families should have emergency kits ready. While preparing for a family emergency, don’t forget to plan for your pets. Gather supplies for your pet and put them in an easily-accessible container. The Pender County Office of Emergency Management urges all residents to secure lawn furniture, gas grills, and items that can be become flying debris. Collins said residents should prepare for possible power outages. Homeowners will need to purchase items such as lumber and shutters now. Pre-drill the window casings, Collins said. Residents may register for CodeRed, the county’s emergency alert system, at http://www.penderem.com. Pender County Emergency Management will post updates on the Facebook page at http://www.facebook.com/penderem and on the website http://www.penderem.com. If you need assistance call the EM office at 910- 259-1210. The Pender County Office of Emergency Management announced the storm watch was canceled. “The storm stayed out to sea and we had no major issues,” said Tom Collins, Pender County Emergency Manager. Collins said the Emergency Operations Center has resumed normal hours. Pender County Emergency Management will continue to post updates on the Facebook page at http://www.facebook.com/penderem and on the website http://www.penderem.com. If you need assistance call the EM office at 910- 259-1210. The Pender County Office of Emergency Management urged residents to prepare for a tropical storm which may bring sustained winds of 35-40 mph and wind gusts of up to 50 mph. This storm could deliver up to 5 inches of rain, according to the National Weather Service. The Pender County Office of Emergency Management urges all residents to secure lawn furniture, gas grills, and items that can be become flying debris. Collins said residents should prepare for possible power outages. Pender County Health Department urges residents to take this opportunity to assemble emergency supply kits which include at least one gallon of water per person, non-perishable packed or canned foods and juices, a can opener, rain gear, flashlights, a radio with fresh batteries, fully charged cell phones with an extra battery, cash, and fuel for generators. All important documents should be secured in a waterproof container. All pets should be secured. According to the National Weather Service the tropical storm’s potential impacts include minor structural damage, large limbs and trees downed and scattered power outages. “We urge residents to be alert in low lying areas,” said Collins. “Motorists should not cross flooded roadways with more than 4-inches of rushing water. Pender County Emergency Management will post updates on the Facebook page at facebook.com/penderem and on the website http://www.penderem.com.